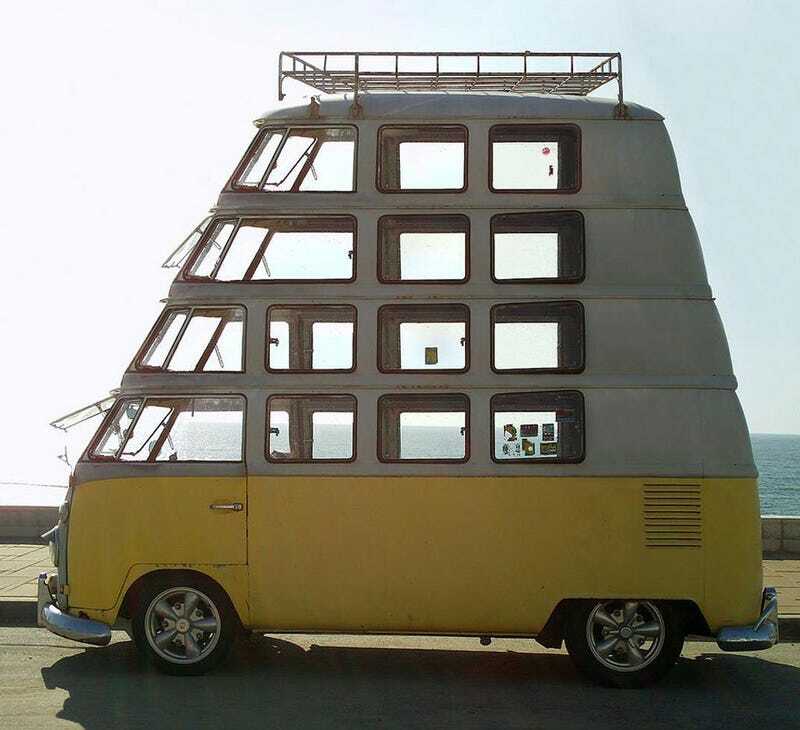 Our pals over at BoingBoing posted this fantastical four-story Microbus from Berger Stadel Walsh of Zurich. I'm pretty certain it's a 'chop, but it's still fun to look at and imagine. Think how delightfully airy this would be, at least until that first bridge. The 3rd-story driver's side window is the Photoshop giveaway — it's very unlikely that if anyone tried to build something like this they'd use that solution, which would require making a new, longer side glass panel and a whole host of other headaches. The roof rack also has a little weirdness, but it's very nicely done, otherwise. It should be theoretically possible to do something like this, though. Consider that a challenge, guy with one running Microbus and three rusting old Type IIs!